Selma Louise Boring was born on 25 March 1927 in Houston, Harris County, Texas. James Marion Boring appeared in the US federal census of 1 April 1930 in Richards, Grimes County, Texas. Other members of the household included Selma Louise Boring, James Marion Boring Jr., Charles J. Boring and Thomas B. Boring. Also in the household was James' brother Thomas D. Boring, age 29, confectionery clerk and WWI veteran. Louise Schlinke appeared in the US federal census of 1 April 1940 in Richards, Grimes County, Texas. Other members of the household included Selma Louise Boring, Thomas B. Boring. She married Glenn Lewis Morris, son of George Patton Morris and Betha Day Robinson, on 29 May 1945 in Willis, Montgomery County, Texas. She officially witnessed the death of Louise Schlinke on 19 April 1972 at Polly Ryon Hospital in Richmond, Fort Bend County, Texas. She officially witnessed the death of Glenn Lewis Morris on 30 June 1976 at Polly Ryon Memorial Hospital in Richmond, Fort Bend County, Texas. Selma Louise Boring became a widow at the 30 June 1976 death of her husband Glenn Lewis Morris. She married Pierce Lamar Meadows. 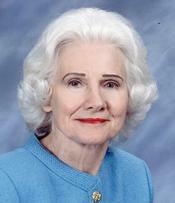 Selma Louise Boring died on 25 April 2012 at age 85 in Conroe, Montgomery County, Texas. The following appeared in a local newspaper: Selma Louise Boring Morris Meadows, 85, of Conroe, formerly of Richmond, died Wednesday morning, April 25, 2012, at her home in the Meadow Brook Personal Care Home in Conroe. Graveside services will be held 2:00 pm Monday, April 30, 2012 in the Fairview Cemetery on FM 149 near Richards, Texas with Rev. John Lockhart of First Baptist Church of Richmond officiating. Honorary pallbearers will include nephews, James Paul, Martin David and Dennis Alan Boring, Gene Patton Morris, Gaylen Ray Morris and great-nephews, Christopher Charles Boring and Trevor Dean Morris. Selma was born March 25, 1927 in Houston, Texas to James Marion, Sr. and Bernice Louise Schlinke Boring. She was a graduate of Sam Houston State University and received her Master's Degree from Prairie View A&M University. Selma taught elementary school in three districts in Texas, including Richards ISD, Brazoria ISD and Lama Consolidated in Rosenberg. A former longtime resident of Richmond, Selma later moved to Houston and settled in Conroe to be near her daughter, Sheila. Another passion in her life was music. Selma played the piano and led choirs in Southern Baptist churches for over sixty years in the town where she taught, the last being First Baptist Church of Richmond where she was a member. Preceded in death by her parents, she was also preceded in death by her first husband, Glenn Lewis Morris, her second husband, Pierce Meadows, Sr., three brothers, James Marion Boring, Jr., Charles John Boring and Thomas Bruno "Toby" Boring and her longtime friend and companion Willie M. Flora. She is survived by her daughter, Sheila Rae Morris and her partner Teresa Lynn Williams of Montgomery; a sister-in-law, Lucille Morris Bech, her aunt Ellen Schlinke Hambrick and an extended family of nieces, nephews, cousins and friends including the family of Willie M. Flora. The family wishes to thank Atria Westchase, Meadow Brook Personal Care Residence and Lighthouse Hospice for their loving care and support during her illness. For those that desire, the family has requested in lieu of flowers, memorials to the music department of First Baptist Church of Richmond (www.fbcrichmond.net), 502 S. 5th Street, Richmond, TX 77469.